Yellow Suit Publishing, 9780991264353, 134pp. Chad Allen Elliott's path to poetry began with a love of music. He has performed original songs across the U.S. for over 20-years, winning several awards for composition including the Woody Guthrie Songwriting Award in 2009. Early in his career, he learned some verses do not need musical embellishment. They stand alone in their own cadence. Since that time, Elliott has penned nearly 2,000 songs and released 22 albums. 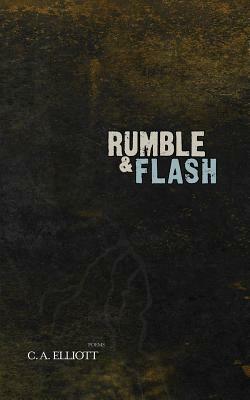 In Rumble & Flash, Elliott shares poems composed during his time on the road. These poems are steeped in archetypal themes like fatherhood, love, nature, and spirituality.